We are engaged in offering superior quality D Cut Non Woven Bags.You will get quality printing of your artwork, logo which is used for advertisement.These are carrying as well as promotional bags. 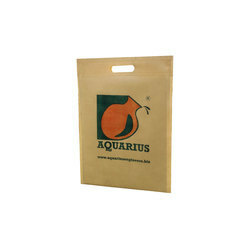 The offered bags are used in storing various types of fruits, vegetables, goods and sometime even used as carry bags. 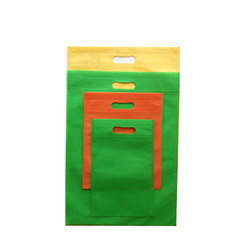 In order to provide attractive bags to the customers, we design and use a variety of color. Size: 8*10, 10*12, 12*16, 14*19. Usage: advertising, promotions, handling, packaging. Packaging Details: 100 bags per packet . 50 kg pote. D cut bags having following size 8*10 10*12 12*16 14*19 16*19 available in all colors. printing is also available as per requirement. Looking for D Cut Multicolor Bag ?